Famous kids books can increase comprehension. Beyond increasing comprehension, stories for struggling readers help them gain confidence in their skills and abilities with reading itself. When it comes to struggling readers, the most important thing is to encourage the child to read more. The best way to do this is to help the child figure out what kind of story interests him or her. From Disney fairy tales to historical fiction for children, a book is available on virtually any topic that piques a child's curiosity and imagination. Younger children who are just beginning to read may not understand everything that is written, so beginning with picture books for struggling readers can be a good start. As the child's comprehension increases, progress to appropriate stories for the child's age and grade level. If you are unable to evaluate children's literature, ask a librarian or teacher for his/her recommendations. They may have a list of children's books for ages 4-8 or whatever age you need, that includes exciting storylines that appeal to children. As previously mentioned, it's not the story so much as emphasizing reading is important that will help children increase their reading comprehension skills. Increased comprehension comes from reading any story-it's not the book itself, but what you help the child do with the book that counts. Reading together with your child is a great way to help increase skills in comprehension stories for struggling readers. Ask questions after the story that helps children understand it better and connect it to the real world. Who were the main characters? What was their role in the story? How does the story end? Do you like the ending? Why or why not? What was the main problem in the story? How was it resolved? Retelling the story in the child's own words is another way to help children understand the story better. Making sure the child understands the sequence of events, and the cause/effect of the actions in the story, is helpful to increasing comprehension. What message was the book trying to convey? What was the main idea of the book? Name some supporting details of the main idea. How does this help explain the message of the book? Read newspaper or magazine articles about current events in your community. Ask your child to tell you about what he/she just read and what it means. 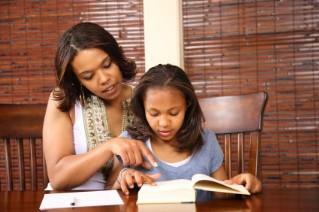 Ask the child to rewrite the ending of the story, complete with pictures, if she/he did not enjoy the ending. Ask why the new ending is better. When reading aloud, ask the child to guess what may happen next in the story. Write down guesses to find out if the child was right. Relate the story's characters, setting or events to something in real life. Tell your child about your real-life connection and then ask him or her to do the same. Encouraging struggling readers to continue reading is the best way to increase their comprehension skills, and their general reading skills, too. The important thing is the process of reading and comprehending, not the story itself, when it comes to strengthening reading proficiency.